Prominent & Leading Manufacturer from Ahmedabad, we offer dry ink batch coding machine, pouch feeder machine and carton batch coding machine. 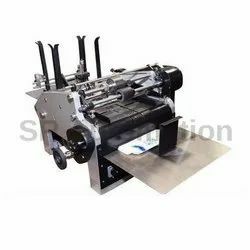 Our organization has gained recognition as the affluent manufacturer, trader, exporter and supplier of a qualitative range of Dry Ink Batch Coding Machine. Used in chemical, pharmaceuticals, food & beverages, cosmetics, and dairies offered coding machine is manufactured using the best quality components and cutting edge technology in compliance with industry norms. We assure our clients that this coding machine is quality tested on different parameters in order to cater clients’ requirements. In addition to this, provided coding machine is available at budget-friendly prices. Application :- Print Batch Code / 2 D Code / Product Code / Expiry Date/Pharma Code with help of INKJET Printer Machine. · Speed of machine: 0 to 250/min depend on your carton size /sample. · Machine wieght: approx. 150kgs. · Counting , Auto stop arrangement. The labels / pouches /carton ( Lock Bottom & Open Flap type cartons) are stacked and automatically fed by slant magazine at speeds of 60 / 90 / 120 / 250 per minute. Being one of the reputed organizations operating in this domain, we are engaged in manufacturing, trading, exporting and supplying a quality range of Carton Batch Coding Machine. Used in automobile industries, we use superior quality components and advanced technology while designing this machine. The offered machine is widely appreciated in the market for its different quality attributes. 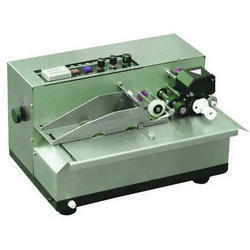 Moreover, this machine is available in different specifications and designs to ensure its quality.